Dive into Bitcoin technology with this hands-on guide from one of the leading teachers on Bitcoin and Bitcoin programming. 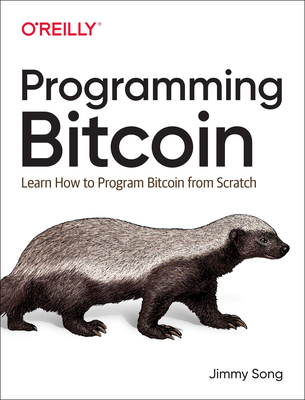 Author Jimmy Song shows Python programmers and developers how to program a Bitcoin library from scratch. You'll learn how to work with the basics, including the math, blocks, network, and transactions behind this popular cryptocurrency and its blockchain payment system. By the end of the book, you'll understand how this cryptocurrency works under the hood by coding all the components necessary for a Bitcoin library. Learn how to create transactions, get the data you need from peers, and send transactions over the network. Whether you're exploring Bitcoin applications for your company or considering a new career path, this practical book will get you started.